This just might be the greatest slasher movie ever made. Certainly up there with the original “Halloween” but this one has the added advantage of age and complexity. The first “Halloween” worked best when it was subtle and simple, never adding more than it needed to its basic slasher premise of a serial killer on the loose on Halloween. The 2018 film works in many of the same ways, but the film adds another layer by giving its characters far more dimensions and subtleties. Unlike the first Halloween film, every character in this film feels fully fleshed out and relatable. From the goofy dad to the confused teenage boys to the babysitter that isn’t afraid to curse in front of the little boy she’s looking after because he’s got a fiery attitude as well, I liked all of these characters. And that’s the greatest strength of a slasher movie – that the people you care about the most are just as much of a target of our villain, Michael Myers. Of all the slasher villains, I always found Michael Myers to be a cut above the rest for one simple reason – he is human. Unlike Jason Voorhees or Freddy Krueger who are unstoppable supernatural killing machine that have unlimited amounts of plot armor until the last part of the third act, Michael is just as vulnerable as anyone else in this movie. He has his reasons for why he kills, but they’re never told to us. Is it for revenge? A coping mechanism? Blood lust? It makes him feel alive? Is it the only thing he knows? Or is it something else? We never know and that honestly makes him scarier than any other slasher – that we all have a little bit of Michael Myers inside of us and all it takes is one thing to make us snap. 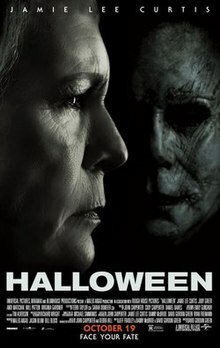 “Halloween” knows this very well and plays with the psychology of Michael Myers, shown mostly through Jamie Lee Curtis’ character and the effect a psychopath like that has on someone. Curtis gives a wonderful performance, showing the deep mental scars she’s had to endure from Michael for 40 years and makes this whole movie feel more grounded and emotional than it had any right to be. This could have easily been another dumb, mindless slasher film. 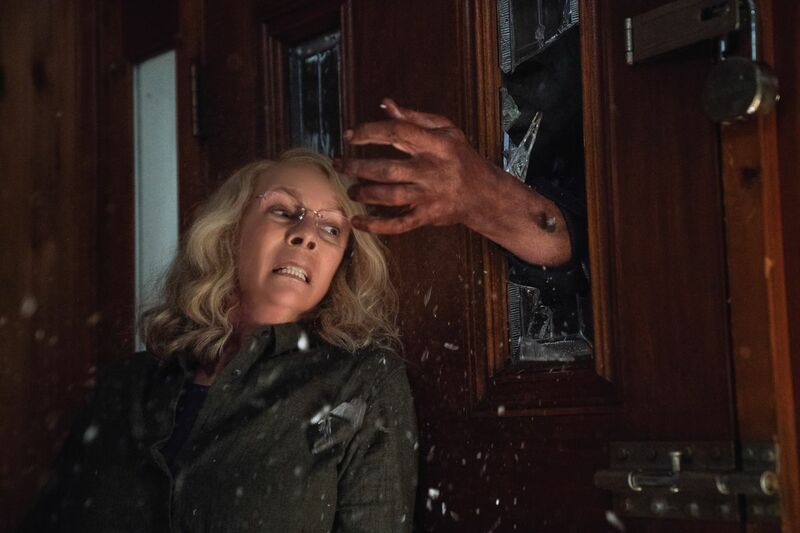 But “Halloween” is not only surprising, but heavily satisfying and enjoyable. Even if you’re not a fan of horror or slasher films, this is still one worth checking out. Like the original “Halloween,” this film is a game changer and makes its genre to a whole new level of art. Check this one out with a large crowd and see just how scary and enjoyable this one can be.